Wigs at Nicholas Piazza’s studio in Manhattan. Nicholas Piazza combs out Sajata Robinson’s hair at his wig studio in Manhattan. Hair from Nicholas Piazza’s collection. A Collection of head manikins at Claire Grunwald basement Wig Studio in Brooklyn. Claire Grunwald is the owner of Claire Accuhair, a Brooklyn wigs company that for fill customers orders by hand with authentic hair. The Orthodox community make up most of her clientele with orders of wigs and beards. Claire works along side her daughter’s Chanie Handler, 56, Chaya Goldish, 64, and her Husband Moses Grunwald, 90. 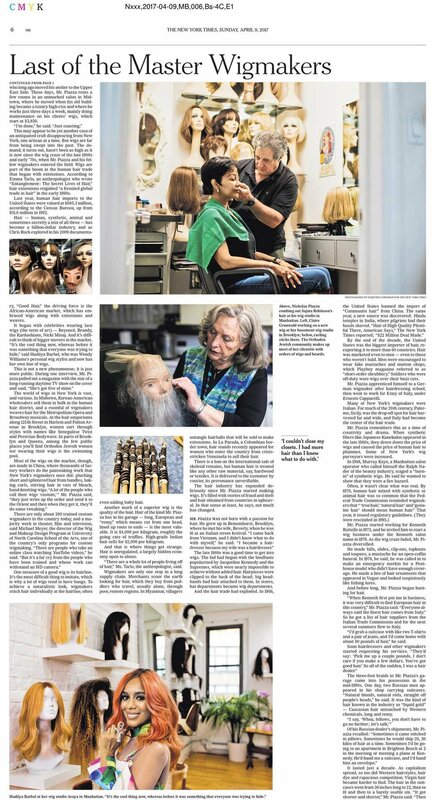 Claire Grunwald makes wigs and beards for the Orthodox Jewish community at her studio in Brooklyn. Curling sticks at Claire Grunwald’s studio. The workspace at the Tom Watson Wig Design Studio in Manhattan. 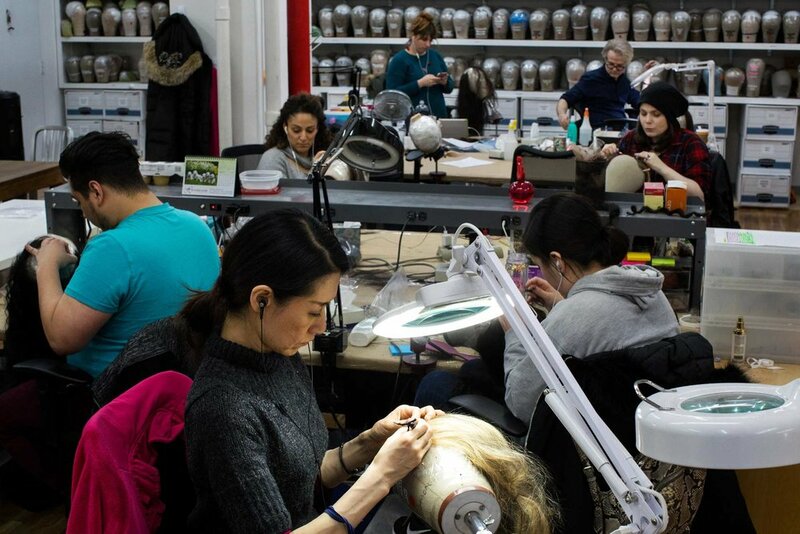 Chloe-nil Acerol works on a new wig at the Tom Watson Wig Design Studio in Manhattan. Tom Watson is the head of the wig and makeup department at the Metropolitan Opera. Wigs on display at Araya, Hadiiya Barbel’s wig studio in Manhattan. Hadiiya Barbel, a wig stylist, at Araya, her studio in Manhattan. Wigs on display at Apollo Beauty Land in Harlem, Manhattan.